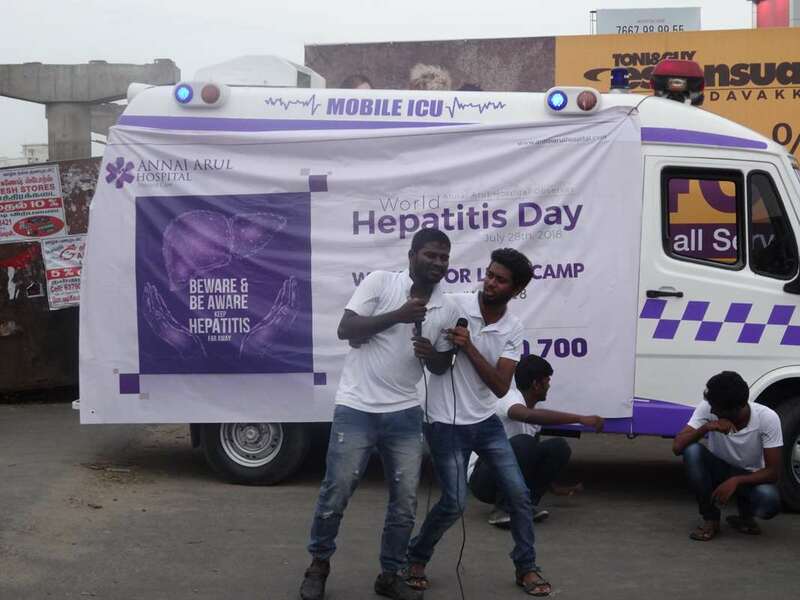 Observing World Hepatitis Day Annai Arul Hospital organized a street play about alcohol addiction and how it’s harmful to human health. The street play was conducted on 14th of July and 21st of July 2018. The concept was to create an awareness about the symptoms and prevention of hepatitis. The event was performed by a team of professional street play artists from the team MUTE and they emphasized a lot on alcohol addiction and its effects on human liver. The play was organized in various places such as East and west tambaram, Medavakkam bus stand, Mahalakshmi Nagar park and Gandhi nagar.